Dr. Regier has a distinguished career in public service having formerly served as Secretary in the Cabinet of two state Governors, and as a policy leader for three U.S. Presidents. He presently serves as Senior Project Manager at Public Strategies, a federal contract firm. He also serves as a Senior Fellow of the Geneva Institute for Leadership & Public Policy, an international forum for policy officials from developing countries meeting each summer at the U.N. in Geneva, Switzerland. This has led to teaching and consulting opportunities worldwide on leadership, public policy development, and governance training with policy leaders. In 2016 he was twice in Burma (Myanmar) where he taught transformational leadership and public policy for a week to 72 Members of Parliament and at the Yangon School of Public Policy. He travels to Kenya regularly and has presented to all candidates for governor in Kenya, hosted 5 governors in Oklahoma, and is a visiting professor at the Kenya School of Government in Nairobi. Previous appointments in state government include Secretary of the Florida Department of Children & Families where he led a department of 25,000 employees, and Secretary of Health & Human Services in the state of Oklahoma under Governor Frank Keating. 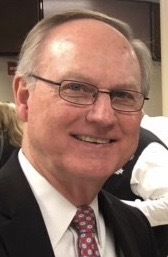 The American Society of Public Administration (Oklahoma Chapter) honored him as administrator of the year for his work of restoring integrity and trust in a crisis at the Oklahoma State Department of Health (documented in an Academic Journal publication at http://arp.sagepub.com/content/34/1/20.abstract). He concurrently served as state director of the Office of Juvenile Affairs for three years. Noteworthy accomplishments as Secretary: 1) privatized the child welfare system in Florida, 2) developed a juvenile justice system in Oklahoma that reduced recidivism from 60% down to 21%, and 3) in Oklahoma developed the first public sector marriage initiative in the country which is still active. Appointments in the federal government were as Assistant Secretary for Planning and Evaluation (A) at the U.S. Department of Health & Human Services (HHS); Director (A) of the Bureau of Justice Assistance, and Administrator of the Office of Juvenile Justice and Delinquency Prevention at the U.S. Department of Justice; and Associate Commissioner at the Administration of Children, Youth & Families also at HHS. In prior years Secretary Regier conducted research, analysis, and evaluation of nonprofit organizations in Africa and India for the philanthropic foundations, high net worth families, and government agencies that funded them in order to determine program impact. He was the founder and first President of the Family Research Council, a public policy research and educational organization in Washington, DC. He led this think tank for 5 years. Dr. Regier lives with his wife Sharyn in the Washington, DC Metro Virginia suburbs. They have four children and fourteen grandchildren.